Cookies are anytime snacks at home. 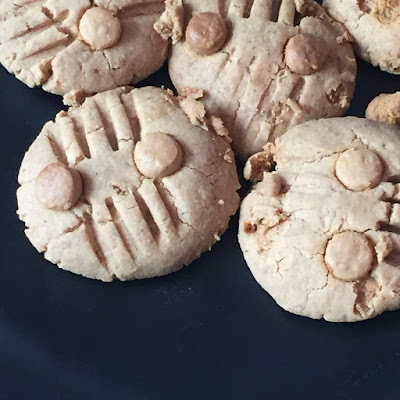 The kids like to take some for their short (snack) break at school, and although I am not too fond of cookies, I make these sometimes and pack it especially for the little one. 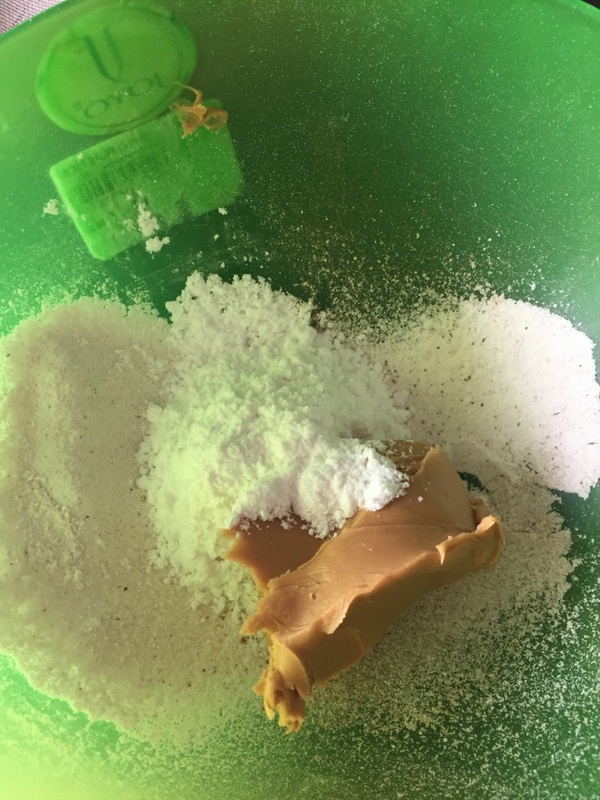 I had a jar of peanut butter and they didn't like quite as much as a sandwich (yes, my PB &J lover-readers will be disappointed!! sigh !) So, adapted this recipe from Chocolate Covered Katie with my own changes, and these were truly melt-in-the-mouth cookies. Sieve the dry ingredients thrice over. Pre heat oven to 175 C / 350F. Line a flat cookie tray with parchment or silpat. 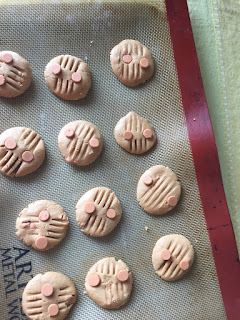 Make small roundels and flatten with a spoon and mark out any design with the back of a fork,. arrange chocochips if using. Make similar cookies with the rest of the dough. Bake for 8 mins and gently flip them over till they are done. leave them inside the oven once the baking time is over, they will firm up. They make look raw, but they are done and melt in your mouth. Love peanut butter with the butterscotch chips. This is a lovely cookie and all I need is a glass of milk to dunk it into. Looks great with that fork design and chips ! Peanut butter must have added a special flavour . Love that peanut butter addition in this ultimate cookies, prefect kids friendly snack box cookies. I'd yet to bake such a small batch of cookies :) When I read 3 tbsp flour I thought it was a typing error. 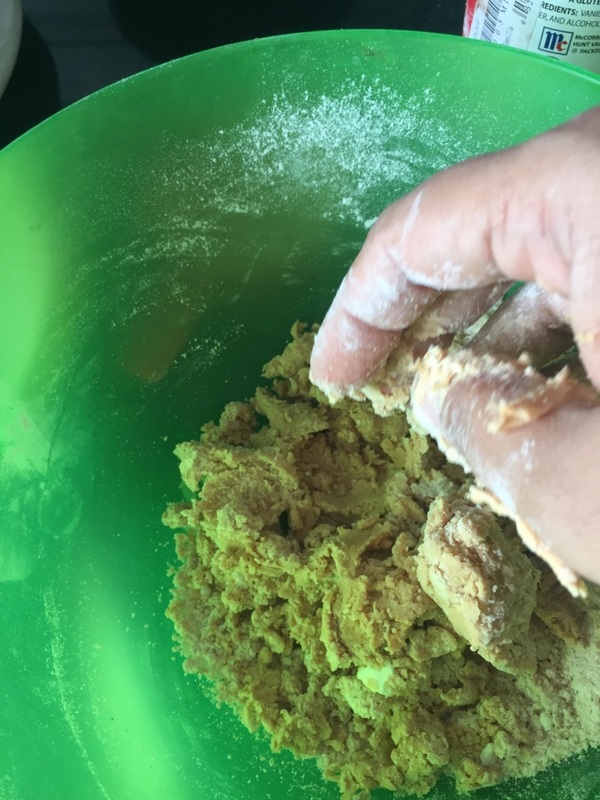 My daughter in law loves peanut butter cookies. 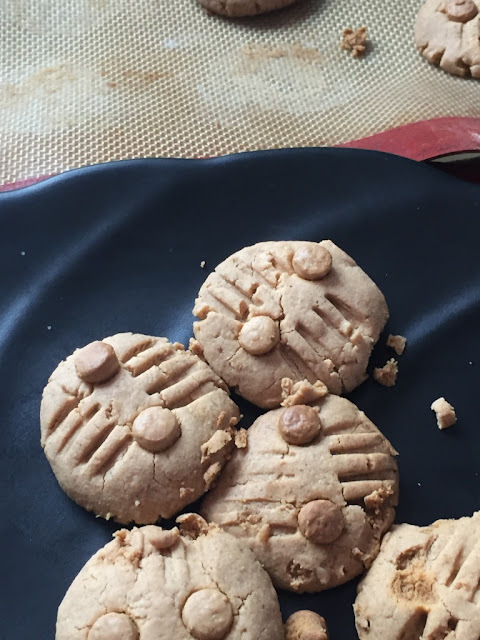 Great looking peanut butter cookies Kalyani. Peanut butter choco chip cookie looks perfect to enjoy with a cup of coffee. Bookmarking to tr it soon. I have the same problem with the peanut butter. My little one can't take peanut based stuff to school and the jars are just accumulating dust. Hopefully I can convince the kids to try these cookies.